See the results for yourself and promote client trial with an attention getting boxed set. Choose HYDRATION TRIO or HIGH VOLUME TRIO at great savings! 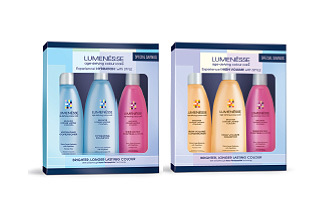 The perfect way to introduce your salon and salon clientele to Lumenèsse™. 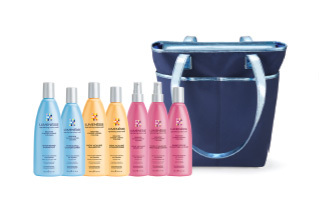 One of each Lumenèsse retail product plus FREE CHIC TOTE and FULL SALON MERCHANDISING MATERIALS get you started now! 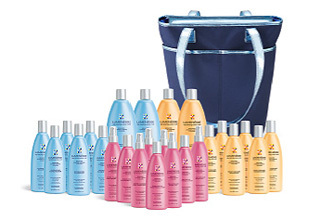 This incredible Introductory Offer features a FREE CHIC TOTE with the COMPLETE RETAIL & BACK BAR PRODUCT ASSORTMENT plus the full complement of in-salon merchandising materials at remarkable savings!